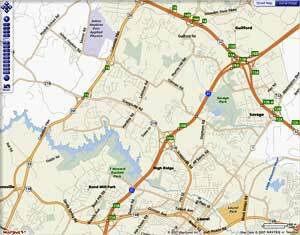 This encompasses Prince George's County and Montgomery County areas west of Interstate 95 along the Patuxent River and Rocky Gorge Reservior. This include areas off Md. Route 29, Route 198, and Brooklyn Bridge Road with parklands and reservoir to the North. Some areas can be comparatively dark. The area is mostly residential, but has some small farm sized properties. The area borders the south of the Reservoir created by constructing a Dam on the Patuxent River. The T. Howard Duckett Park is within what is designated The Patuxent River Park, comprised of more than 6,000 acres of natural area parklands along the eastern boundary of Prince George's County. This is under the control of The Maryland-National Capital Park and Planning Commission, Department of Parks and Recreation for Prince George's County. 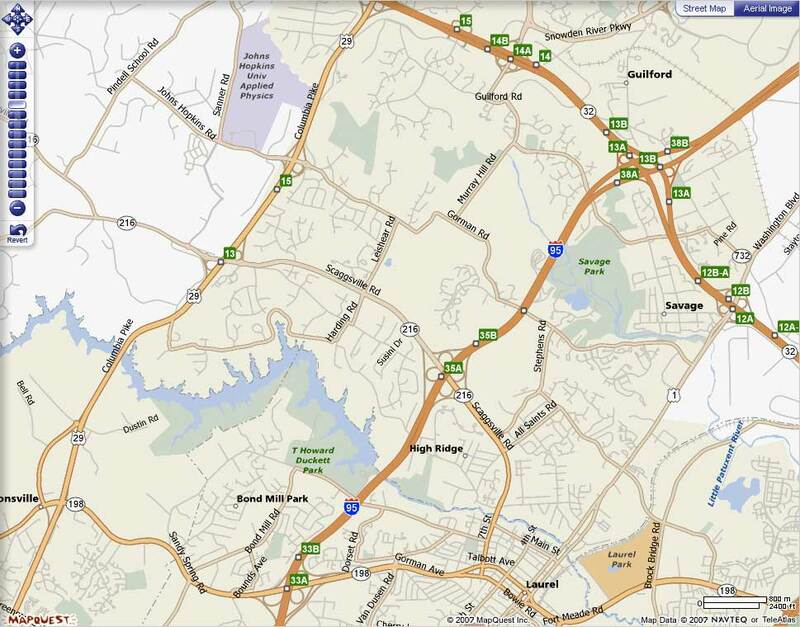 The park is an area that contains ball fields, and a Recreation Center at 16501 Supplee Lane, Laurel, MD 20707. This area is also known as part of West Laurel. PROS: A suitable balance of convenience, reasonably dark skies, availability and maybe affordability of land. With quick and easy access for several schools in this area. Even with the sky glow from the developed surroundings of Laurel to the east, the topography and atmospheric qualities of the area lend themselves well to high magnification observing with some exceptional nights throughout the year. Viewing a planet from this area can be better than most locations is dark but mountainous areas (Colorado, etc.). The area is a mix of residential, with some small farms and church lands here and there. Nice and quiet, with little traffic congestion off of the highways. Aside from one shopping center located west of elevated Route 29, there are no major sources of light pollution. The area is a mix of residential, with some small farms and church lands here and there. The area is not fully developed yet however with the coming "Inter County Connector" (being pushed as a short sighted cure for traffic congestion in Montgomery County), there is no telling what could be built in the vicinity and how dramatically and adversely this might impact the Observatory. 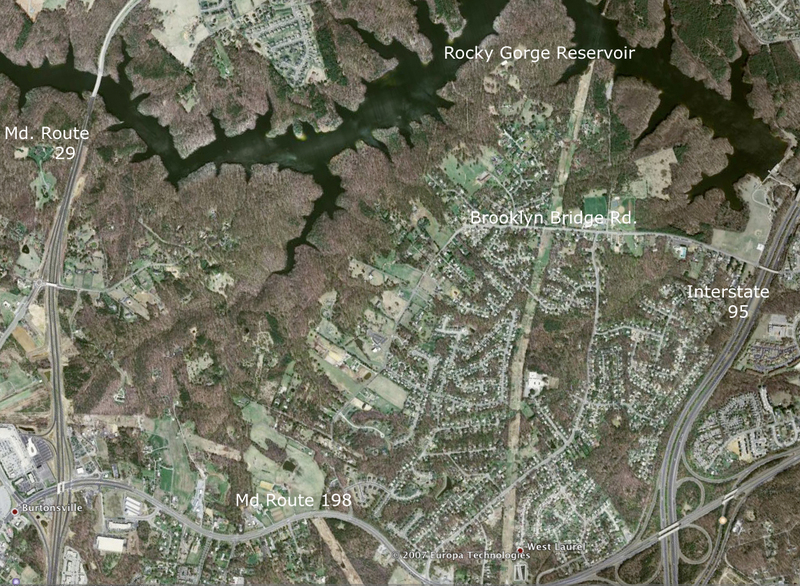 Above: Aerial view of the West Laurel area extending into Montgomery County to the West.